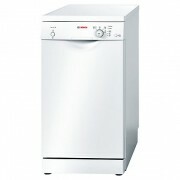 Tags: BOSCH, Freestanding Slimline Dishwasher. 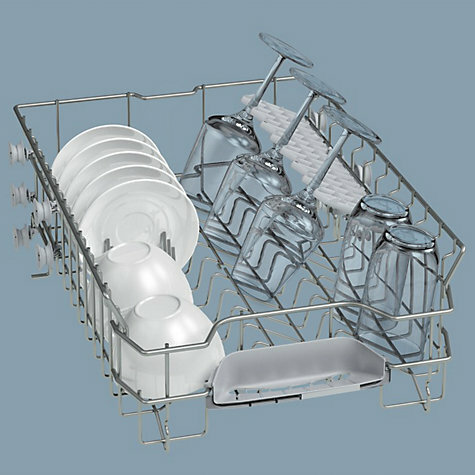 The ActiveWater 45 with height-adjustable top rack: Gives you extra space for large and bulky items. 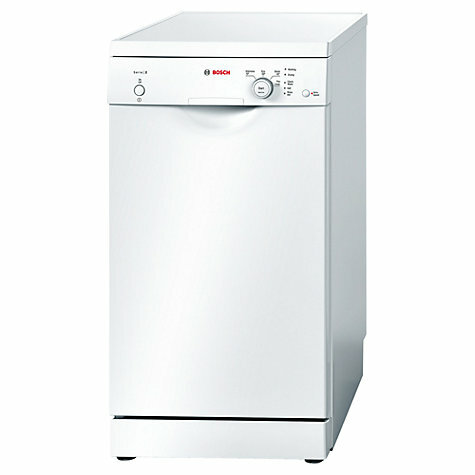 The Bosch SPS40E22GB dishwasher offers a fast and thorough clean and is easy to maintain. 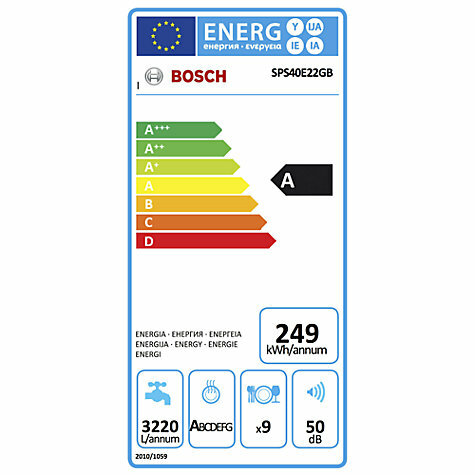 With a sleek, white finish, it’ll look great in any home, while the A energy rating provides an economical and environmentally friendly model for your kitchen. Because this machine is super quiet, you can take full advantage of off-peak energy costs without being disturbed during the night by noisy dishwashing. A brushless motor provides a quieter, faster and more energy efficient performance. This function cleans dishes up to 50% faster, while providing the best possible cleaning and drying results. 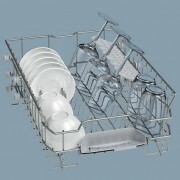 A DuoPower spray arm in the upper basket provides extra-thorough cleaning. 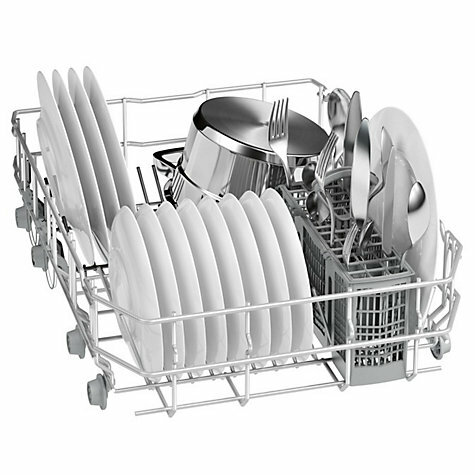 This dishwasher only uses 11.5 litres of water per wash, and every single drop is used to the maximum so you never have to worry about wasting any. This glass protection system ensures extra gentle handling for your delicate glasses, making sure they come out clean and shiny without getting broken or scratched. The 3-piece corrugated filter is self-cleaning to make maintenance easier and help prolong the life and performance of your machine. This function provides anti-flood protection to give you peace of mind around the home. DuoPower spray armsIn addition to the spray arm on the bottom, DuoPower, the double spray arm in the upper basket ensures that dishes are optimally cleaned. The two ergonomically designed spray arms ensure targeted water circulation reaching every corner of the dishwasher interior. 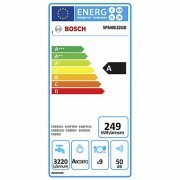 Due to this precision control, each rinse cycle is particularly gentle on glasses and dishes. VarioSpeed optionYou can reduce the wash time by half with the VarioSpeed option. All this with best cleaning and drying results – as usual.